Brown Bear 7.62×39 ammunition is manufactured at the Barnaul plant in Russia. 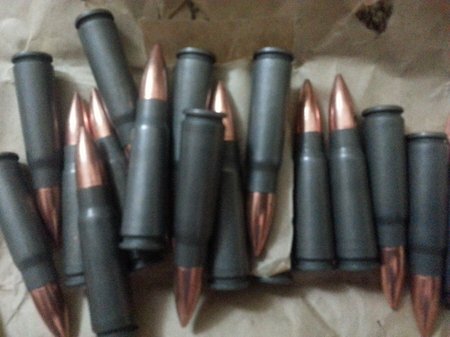 It is polymer coated steel case ammunition featuring bimetal bullets. 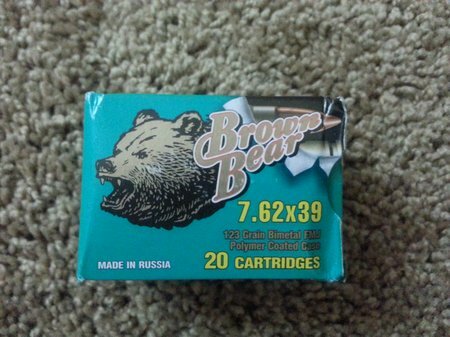 The cost is not the only thing I love about Brown Bear ammo…it’s about $7 per box of 20. This is 123 grain bimetal FMJ ammo. 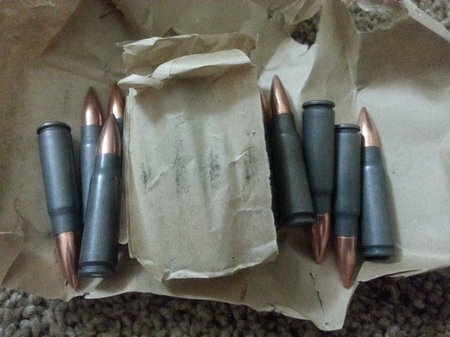 Brown Bear 7.62×39 ammo is packaged 20 rounds wrapped in paper inside a cardboard box. Nicely done. Every 5 rounds is separated by paper. The boxes are silent too…no rattling around when carried a field. 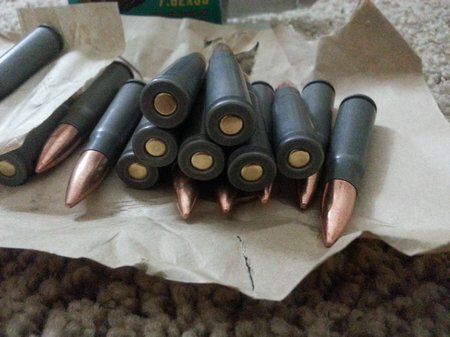 Very nice ammo. No dents, scratches or any type of defect. Polymer coated cases are pretty slippery. I like it. Bimetal bullets are steel jackets with copper layering or plating. So it looks really nice but how does it shoot? 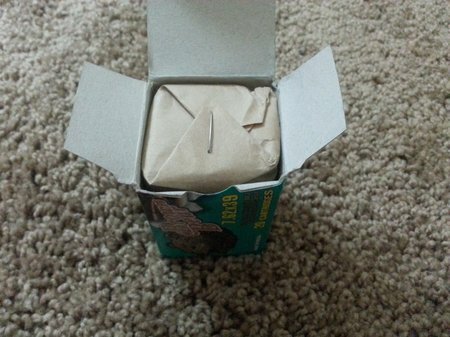 …as good as it looks. 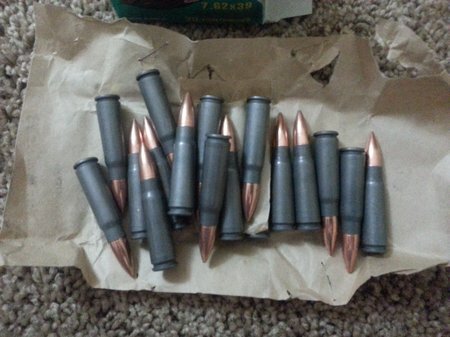 I shot a few magazines of Brown Bear 7.62×39 in my Zastava NPAP AK-47. It’s 100% reliable and accurate. It’s also clean burning. I have heard people say it’s dirty BUT it is not. The cases did not have any carbon fouling on the necks at all. They were very clean. My AK was pretty clean too. The piston was dirty but it wiped clean very easily. 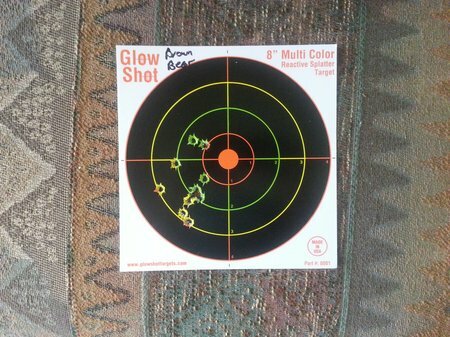 Here is my target after 15 rounds of Brown Bear 7.62×39 ammo. I was free standing using iron sights. 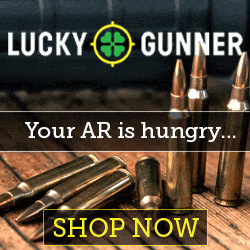 If you want to get some of this awesome 7.62×39 ammo here is a link….Lucky Gunner 7.62×39 Ammo. Best prices and super fast shipping.